Melissa, thank you for your marketing. The traffic from your website to me has been great! Just found One Stop for Mom and I absolutely love it! A great resource for moms and the coupons are awesome! This directory will be my go to for all of my needs. OneStopForMom is not only a mom centric hub where busy women can easily find everything they need “under one roof”, it’s an extension of your business shepherded by women who are invested in your success. Women who love what they do and understand your concerns as a small business owner. I absolutely love working with Melissa. She is creative, caring and always there when you need her to be. Love this site and can’t wait to have my business featured on this wonderful resource for CT moms. Melissa and her team are the absolute best. Their customer service and attention to detail is unmatched!! It has been a pleasure and easy to work with Melissa and OneStopForMom. She has proven to be very diligent and cares very much for her clients and their success. I would recommend signing on with this company to anyone that has a need to reach out to this demographic. OneStopforMom.com has proven to be just that--a place to find anything you need as a parent. Even for those of us with older children can rely on this great resource. You will never have to wait for a response--clearly Melissa and her team do not sleep! Need a great recipe? She's got many. Need some advice? Visit the blog. Need a recommendation for a party spot, pediatrician, even something just for you? Visit OneStopforMom.com! Plus...she has the best contests around! Thank you, Melissa! My experience working with Melissa and Elyssa has been great so far. They are both very personable and respond quickly to my phone calls and emails. I am satisfied with the exposure that OneStopForMom.com has given my business, and I will continue to advertise with them. Melissa is the BEST!! I have followed her from other companies to where she is now, because she is so devoted to her work & her clients. She is also one of the nicest people! She has created such a well thought out resource for the community. So glad to have Melissa & her team representing our business. It is always money well spent!!! Thank you, OneStopForMom.com !!!! I love seeing the updates from OneStopforMom in my inbox and on Facebook! Melissa is always bringing the best of both new and established places and events from all around CT! I am always looking for fun, local activities for the kids and I know that I can count on OneStopForMom to find something that the entire family will enjoy. They have great giveaways and I can always find something on their calendar to do. Melissa has been so kind and has allowed me to be a resource for local families about international adoption and special needs. Thanks for everything, OneStopForMom! Keep up the good work! Elyssa has been amazing. She always returns phone calls, answers emails and never leaves a question unanswered. OneStopForMom is a wonderful site allowing moms to find anything they need combined in one convenient place! Great network for small business to connect with clients. The absolute best thing about OneStopForMom is that it is not just about the kids, it is also about me! I love that I can find everything I need under their cute pink umbrella and that they realize that we are not just moms but women too :) I look forward to using the site for everything I want and need for a really long time!! I just fell in love with OneStopForMom.com from the minute I found it. A friend told me about it and I knew from that point on it was going to be the place that I found everything that I needed. I love that it is moms finding suitable businesses for other moms! I can also save money with their coupons and they have the best giveaways! 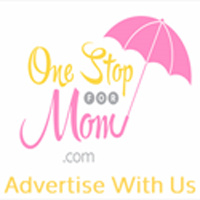 We joined OneStopForMom as a new business looking for an affordable means to advertise. Melissa is accommodating and ensures all of our advertising needs are met. She responds to emails promptly and follows through with requests in a timely manner. I was referred to OneStopForMom by a friend, she told me "they would work hard for my business". I have to say she wasn't wrong, my experience working with Melissa and her team has been really nice so far, she is only a click or a phone call away when you need her, she has given my photography business that boom and exposure that I needed, I am very happy with the results and I am planning on recommending it to anyone that wants more exposure for their business. I love checking out your FB and seeing new and interesting posts about everything from A to Z! Very helpful when I'm searching for something specific! Love seeing the coupon deals that's for sure! I love the giveaways too. Very exciting to know they are REALLY REAL and not just something you sign up for and never go back to check on. It's great to see a couple of my friends are also interested in your site. Makes me feel like I'm doing something right if others agree with me :) I love the stories that remind me everyone else has and will go thru it. I want to thank you for everything you do for us! I appreciate all of it!! Just found your page....Love it!